Stripes. Love them or hate them. If you’re feeling the latter, let me sway you with this fabulous insight as to why stripes can be worn anywhere anytime. Take for example the unanimous lady above. Braving that Bob seems more the issue here than the stripes. All joking aside, note how the stripes are well balanced with the plain patches for pockets, collar and cuffs. This helps tone down the stripe and thus making it slightly easier on the eye. Cèline’s design team has brought the pattern to the forefront of their Spring Summer ’16 collection. 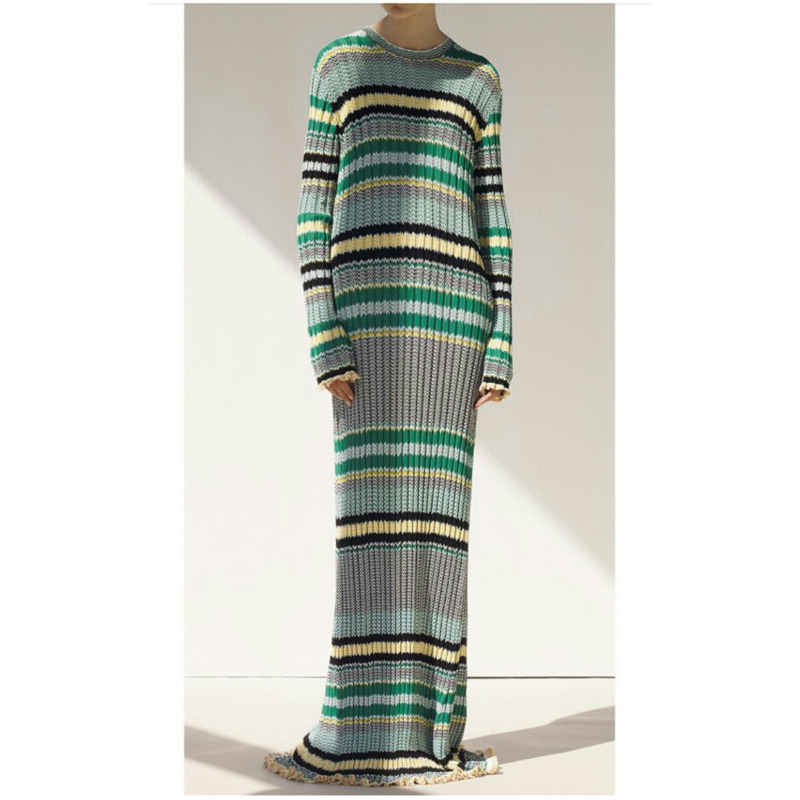 Almost Missoni-like but still has that seal of Céline class. 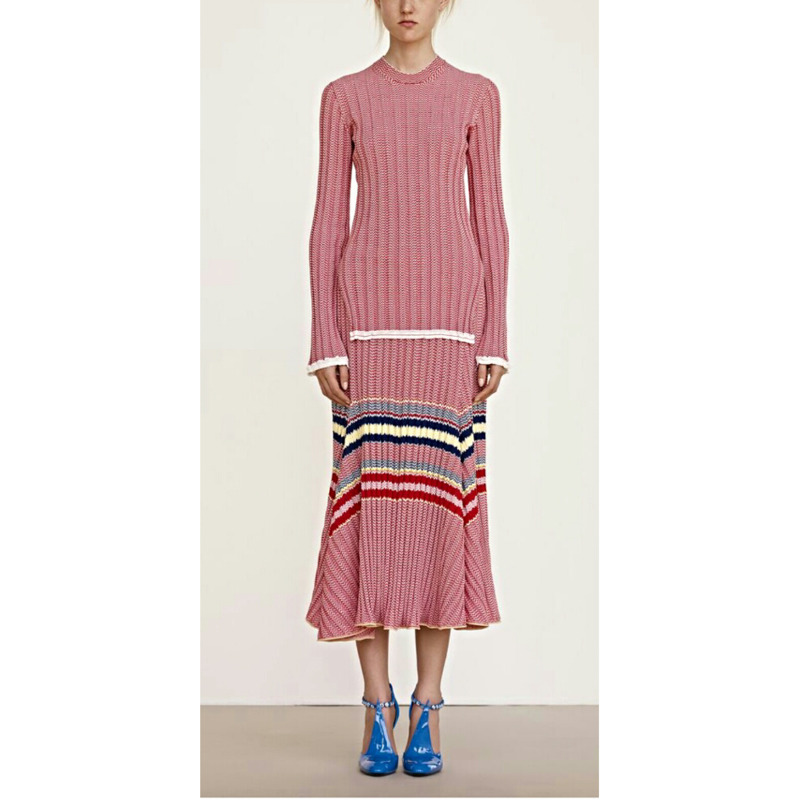 Above: An endless drip of stripes, by Céline. A more dampened look below invites the eye to be drawn to the lower half of the outfit. It’s the perfect example of playing wild patterns down if you’re still a little shy or conservative in patterns. Feeling bland and want to tune in to your stripey side? Splash out on the ole reliable black and white. What a lovely idea (below) mixing sizes and widths of such pattern. Add class and playfulness to your look. 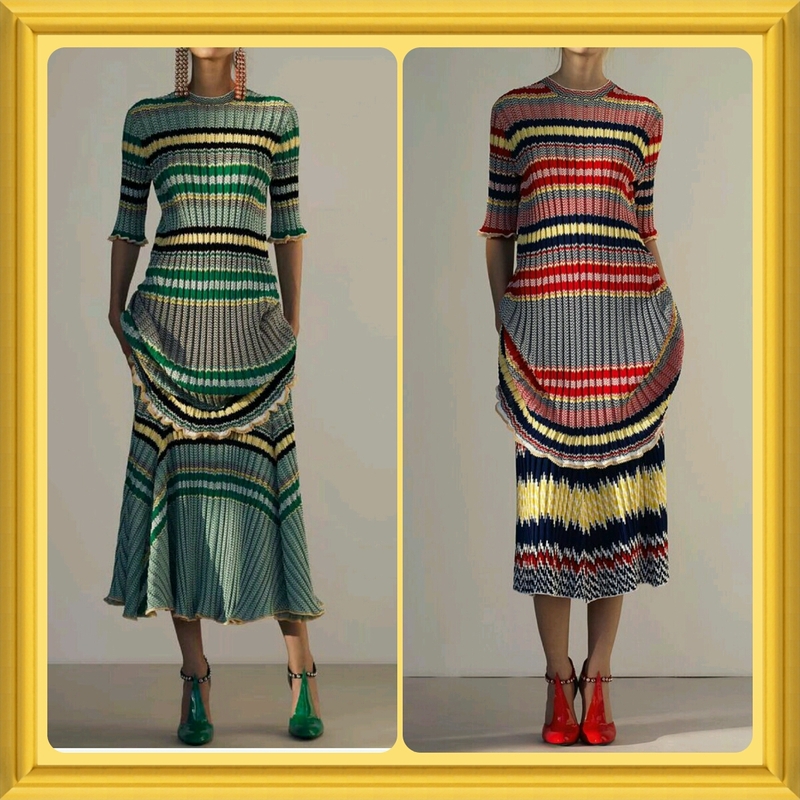 Be outrageous with the power of the stripe.